Listen, even if you’re not one of those crazy coupon people that you see on TLC, we both know that you could be saving more on your groceries. I’m not saying you need to hoard 455 rolls of toilet paper or that you need to spend hours comparing sales ads, but there are a few weird (and easy) things you can do to save some money on your grocery bill. 1. Sign up for a free account with InboxDollars (just need a name & email address). Plus, they give you $5 free since I referred you. 2. Navigate to the “Coupons” section. There you will find dozens of high-value coupons for everyday items like cereal and toilet paper. Select the ones you want, print them out, and use them in your store like a regular coupon. But here’s the kicker —- InboxDollars will pay you ten cents for every coupon you use. Once you sign up to become a Nielsen Consumer Panel family, the company will send you a free scanner (like the one pictured to the left) or you can use your smartphone. Every time you go shopping, you simply scan the barcodes on the back of each product and send your data off to NCP. Pretty easy, huh? If you want to give it a try, you can fill out an application here. As an active participant, you earn gift points which you can redeem for different types of merchandise. You can choose electronics, jewelry, household items, and even toys for the kids. The longer you stay on the panel, the more opportunity you have to earn points towards prizes. You also receive entries for the panel’s many sweepstakes. Prizes include money, vacations, and brand new vehicles. This is a great way to make your consumer voice count and be rewarded handsomely for recording your purchases. You’re already going to the grocery store anyway, right? There’s a great new website called Pirc that aims to streamline grocery shopping for those of use who like to shop around for the best price. Pirc allows you to favorite all of the items you regularly buy and then their system will scan all of the sales ads/circulars in your area each week. If something you favorited goes on sale, they will send you an alert. Even better, it will notify you if there are any online coupons that can be printed to make the deal even sweeter. It’s sort of like setting up your own personal sales circular each week. It’s all completely free to use and can be set up in just a few minutes. A lot of readers who like to price match at their local grocery store find this site extremely helpful since it can quickly tell you which store has the best deals that week. Yeah, did you know that you can get cash-back on your groceries just for taking a picture of your receipt? The very popular website and mobile app, Ibotta will pay you to do just that. Here’s how it works…. 1. 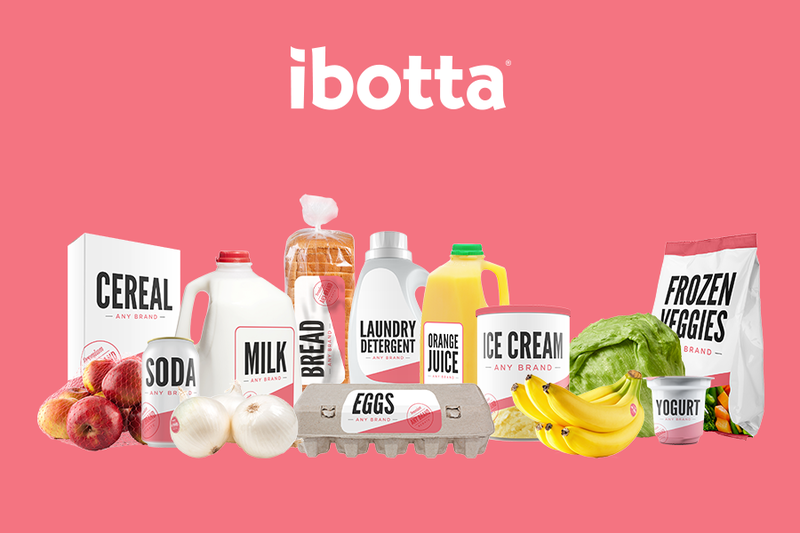 Sign up for Ibotta here (you just need a name/email address to start). 2. Browse through the cash-back offers in your area and take note the next time you go to the grocery store (the offers change every week). For example, in my area Ibotta will give me .50 if I take a picture of a receipt showing that I bought a gallon of milk and a $1.00 if I take a picture showing that I bought graham crackers. Pretty cool, right? 3. So, obviously you don’t want to buy a bunch of crap you weren’t already going to buy. But, this can be an easy way to get a little cash-back for doing something you were already going to do. Also, you can still use coupons on the items you’re buying, so this can be a nifty way to “stack” your savings and in some cases, you might be able to get the item for free. 4. Once you’ve reached $5 earnings or more, you can request payment via Paypal or Venmo.